A councillor has vowed to clear his name and fight his expulsion from the Conservative party following accusations he used racist language towards a colleague. Coun Jeff Milburn, who represents the Cleadon and East Boldon ward on South Tyneside Council, says he is planning to appeal against the decision taken by the Tories. He now has 28 days to appeal the decision made by the Tory party. A Conservative spokesman confirmed this week that Coun Milburn had been expelled from the party but would not go into any detauls. However, he insists he will content the decision, saying: "They can’t do this – there is no evidence against me. I’m not going away. "I’ve asked them for evidence, this is the basis of the British constitution, but I’ve seen no evidence. "We are going to appeal – they can’t just do this, it’s fundamentally against the rules and they’ve broken every constitutional rule. "They won’t show me this so called complaint letter, you can’t kick somebody out of a party on hearsay, it’s all tittle-tattle. "This all seems to be one way, but I’ve done nothing wrong. Everybody has rights – there’s a way of doing this, but they’ve broken every rule in the book. "I’m not going away over this." A further complaint was made against Coun Milburn by South Shields MP Emma Lewell-Buck. The complaint was made to South Tyneside Council after the Labour politician claimed Coun Milburn made an abusive comment to her against female Kenyan athletes who finished in the top three places in last year’s Great North Run. The Labour MP, who alleges it happened as she spoke to him in the VIP tent at the end of the race, says she has been informed in writing that council chiefs believe Coun Milburn attended the event in a personal rather than official capacity. She said: “It’s ridiculous. He was in the VIP tent and wouldn’t have been there if he wasn’t a councillor. “He may not have been wearing a badge saying he was a councillor, but that is the reason he was there. 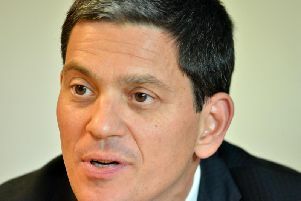 “If I did something outside of work, it would still be seen in my capacity as an MP. He was acting as a councillor, regardless. In response, Coun Milburn described the allegation as "rubbish". 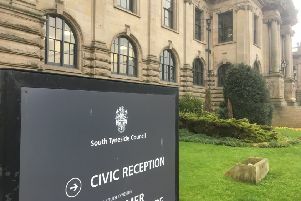 South Tyneside Council would not reveal the content of its correspondence with Mrs Lewell-Buck. A spokeswoman said: "The complaint received from the South Shields MP was acknowledged on 19th September 2018 and a formal response issued 8th March 2019."